Viewed end-to-end, your supply chain includes the steps, supplier engagements, and processes that cover the entire lifecycle of a product. From inception to shipping to marketing, each link is vital. A key step in taking a more strategic approach to Procurement is looking at the big picture and working to optimize the supply chain from end-to-end. Your organization's goal should be to go from facility to consumer as efficiently as possible by removing extra steps that might bog down the process streamlining those steps that are necessary. If you haven't taken a thorough look at your supply chain in a while — even if you have — consider the following best practices. They'll help you drive efficiency and value each step of the way. You may have a good idea where your spend is going, but if you don't actively manage your suppliers, or at least your relationship with them, you could lose when it comes to efficiency. Take the time build a mutually beneficial, transparent relationship with your suppliers. Not only does this give you visibility into things like lead times and availability, but you may also save money by negotiating for volume pricing. You could potentially also increase efficiency by consolidating all of your suppliers through one tier two supplier. Regardless of what you produce, your cost of goods sold (COGS) will fluctuate over time. If you have an optimized system, this can be a good thing. Ideally, you want to try to lower your overall operating costs each year, and you can accomplish this by negotiating annual COGS price reductions with your supplier. A reduction of three to five percent doesn't sound like much, but if you buy thousands of pounds of a certain material every week or month, that reduction adds up quickly. Negotiating these price reductions also encourages your suppliers to make their own systems more efficient, which translates into additional optimization for you and them. Adopting new technologies could also potentially reduce your COGS and boost your overall efficiency. If you rely on CNC machining (computer numerical control) to craft your products, could your process become more efficient if you switch to 3D printing or vise versa? The answer will vary depending on the individual product. If your organization produces complex or custom components, for example, it’s worth investing in a 3D printer because the additive manufacturing process makes these projects easier. At the end of the day, you need to consider what is the best investment for your particular organization. Like any business decision, this one should follow a period of careful consideration and be made with the entire end-to-end supply chain in mind. Inventory management and control aren't only important for your finished products. Don't just keep track of the products that you fix to ship — keep a pulse on your supply levels for all of your products and the materials that go into them. Keep your supplier's lead time in mind too — if your demand suddenly increases, your suppliers might not keep up. While it's always important to have enough supplies on hand to ensure you can meet the demand of your clients, having too much could easily prove a detriment to your bottom line. The same rule goes for your suppliers — if they've spent a ton of money manufacturing a surplus of supplies for you, those costs will find their way to you. This is the exact opposite of efficiency and optimization. In certain instances, it might make sense to introduce a Vendor Managed Inventory (VMI) program. This will allow a trusted supplier to assess your needs and take a more active role in optimizing your organization's inventory levels. Remember, however, to thoroughly vet suppliers before establishing such a program. An unscrupulous supplier might use the opportunity to over-sell and improve their bottom line. Whatever your preferred method, more diligent inventory control will allow you to catch problems before they occur and rectify them before they can impact your supply chain efficiency. How much time do you spend to produce one product from beginning to end? With that number in mind, take a look at your production process. What steps could you improve or eliminate to reduce your overall production time? Many of the processes already mentioned can improve your production time. Take a closer look at your production process to see what you can do to improve it. You might surprise yourself with how much fat you can trim away without cutting corners. This step is essential for building beneficial and efficient relationships with your suppliers. RFP or Request for Proposal and RFI, or Request for Information, can be an invaluable tool, especially if you're having an issue somewhere along your supply chain. You don't even have to enter the market for a new supplier. Draw up an RFP or RFI and send it to your incumbents. Say, "Hey, I'm having this problem, how would you fix it?" The solutions they come up with might surprise you. supplier. An RFQ allows you to see what it would cost your company to switch from one supplier to another. These are time intensive and often costly, meaning you won't want to send them out every quarter or even every year. In most cases, RFQs and other similar requests are sent out every three to five years, depending on the needs of the product and the supplier contracts. Whether you plan on launching a new product or re-evaluating an existing one, you need to remember the five P's of risk management: plan, plan, plan, plan and plan. Have a standard plan, and a backup plan, and a backup plan for that backup plan. Supply chain disruptions are an unfortunate reality, and this level of planning it's essential for ensure for maintaining production schedules and meeting customer demand. Be prepared for any contingency and you won't lose money trying to keep up with demand when something goes wrong. Planning alternate routes and identifying alternate carriers will go a long way in the face of disruptions like extreme weather. An end-to-end supply chain exists for every single product and service your organization offers. 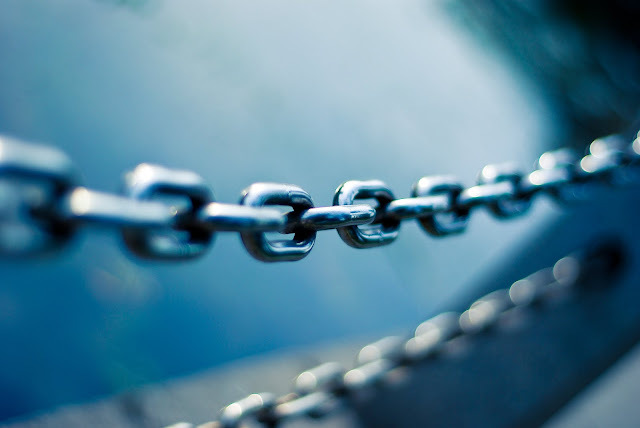 Taking steps to improve and optimize these chains today can ensure you have products available for your customers, and can save you both money and time tomorrow.